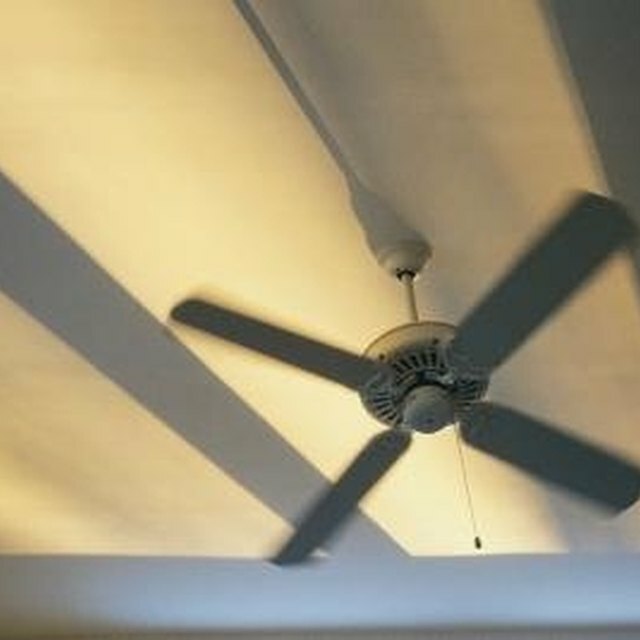 Everyone knows ceiling fans are great for cooling you off on a hot day, but what if you're not right underneath the fan? A ceiling fan doesn't actually cool the air in a room; instead, it manipulates air flow.There's even a difference in the way you should use your ceiling fan at different times of the year. If you want to keep your fan on, think about how it works. When it's hot outside, you want cool air to blow down and cool you off. To make your ceiling fan work this way, make sure the blades are spinning counter-clockwise. If they aren't, get a ladder and hit the reverse switch. The blades grab air from around the room and force it downward quickly, creating a nice breeze. In the winter, you probably don't want the same blast of cool air that you wanted in the summertime. Hit the reverse switch again, and set it on low speed. Make sure your fan blades are spinning clockwise. All the warm air that rose to the ceiling when the fan was off is now sucked down and dispersed throughout the room, warming it up. Though it might cost energy to keep the fan on, turning it off when you leave the room stops the air flow. If you stop the air flow, all the hot air will rise and the cooler air will settle. If you're leaving the room but coming right back, leave the fan on. If you're leaving for more than a few minutes, turn the fan off to avoid wasting energy. One reason to keep the fan blowing is it deters mosquitoes. Mosquitoes have trouble flying in even light breezes, so having a ceiling fan circulating air inside a room makes it difficult for these pesky bugs to fly around and land on you.